Local search is growing. According to Google, the internet is a key resource for finding local businesses, with 80% of Australian customers using search engines to discover local services and 24% using maps to locate the physical address. With Australian smartphone usage last year hitting an estimated 80% market penetration, being visible for “on-the-go” local searches has never been so important for both customer acquisition and retention. For local-intent searches, Google’s map pack is regularly presented first to the user on both desktop and mobile results. Optimising a brand’s presence within the SERP’s real estate is vital to connect with its target audience at the first possible instance. Google uses the searcher’s proximity to the business as the primary ranking factor for map pack and map search results. Although you can’t do a great deal about changing the location of a searcher, you can ensure that Google trusts the location of your business and the services you offer. Google uses the E-A-T framework (Expertise, Authority and Trust) to provide the highest quality of search results. Building a relationship of trust with this search giant helps promote a business to Google, which in turn provides more reasons to promote the business through high rankings. The national opportunity for data integrity in Google Maps is substantial, with core business information such as opening times, business categories and phone numbers often missing from map listings. Missing data erodes Google’s confidence in ranking a business map listing vs. a competitor. Ensure accuracy across the web for all business NAP data (Name, Address & Phone No. ), including Google My Business, national directories, local publications and websites. All of these are stated sources used by Google to validate map data accuracy. Yellow Pages is a highly trusted source of data for search engines and is an excellent place to start when optimising a brand’s digital footprint. The challenge often arises when stores need to clean up legacy listings to ensure only one version exists for each branch. Data from newer directories, such as Yelp, Foursquare and Trust Local, are frequently referenced in Bing and Apple Map listings. Therefore, it’s important to make sure that data is both accurate and managed. Brands should manage their business reputation through building positive Google reviews and responding to any negative additions. It’s also important to show Google that the brand is an active business with a solid reputation and not a risk to rank. Brands need to select the most appropriate business category to ensure they rank for relevant keywords used by their target market to search for their product/service. Make Google/Bing Map listing a brand touchpoint that is a perfect introduction to a brand. Add high-definition photos that communicate the identity of the business and advertise effectively what it can offer vs. the competition. Manage the customer journey seamlessly from map listings to store visits. Ensure the store pin is plotted in the correct location and opening times reflect reality. For businesses with multiple locations, using a web link to the specific store landing page will provide a more customised experience. A landing page with unique, localised content that utilises local schema markup will help Google determine the quality of the business proposition and subsequent competitive right to be positioned in the top echelon of the results. Optimising content for search is now synonymous with optimising content for sales. Consequently, building trust with search engines also builds trust with customers, improving engagement and subsequent conversions. Ensuring brand data and content is optimised at all online touchpoints provides cross-channel opportunities with offline advertising activity. When potential customers are exposed to out-of-home media or commercials, what do you want them to experience when translating this offline discovery into an online search? Meeting these customers with accurate online data and a consistent professional brand image translates this initial awareness and interest into a store visit or online sale. 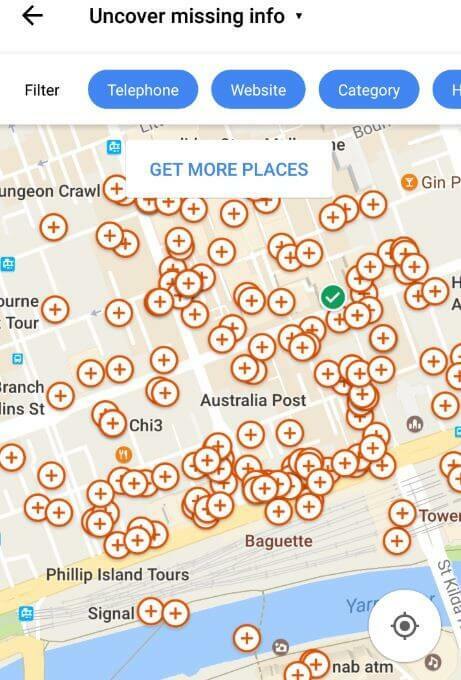 Local search continues to grow in Australia with smartphone usage resulting in “on-the-go” searches being easily translatable to store visits. Data accuracy across the web offers the most brand-influenced signal to improve trust with search engines and ensure proximity equals visibility in the map pack. Interested in maximising your business presence in local search? Contact Performics today.